The Mekong Initiative for Startup Tourism (MIST) has been launched in HCM City to boost investment and innovation in the tourism sector in Cambodia, Laos, Myanmar and Vietnam. MTCO will receive funding from the governments of Cambodia, China, Laos and Myanmar, as well as Thailand and Vietnam, while MBI will receive funds from the Asian Development Bank and the Australian government. In Vietnam, MIST was organised with the support of the Da Nang Business Incubator (DNES). Partners of the initiative are the Seoul Global Startup Centre and the Swiss government-funded SECO Entrepreneurship Programme. The best startup teams from across the four countries will be invited to an intensive boot camp and Demo Day at the 2017 Mekong Tourism Forum in Luang Prabang in Laos. The best Vietnamese startups will be invited to a Demo Day at the APEC Investment Summit in November 2017 in Da Nang. MBI is an advisory facility supported by the Asian Development Bank and the government of Australia, promoting private-sector development in Cambodia, Laos, Myanmar and Vietnam. It fosters the development of ecosystem innovation by supporting angel investments, business incubation, and technology commercialisation. MTCO was established in early 2006 and is a collaborative effort between the six countries of the Greater Mekong Sub-Region (GMS): Cambodia, China (specifically the provinces of Yunnan and Guangxi), Laos and Myanmar, as well as Thailand and Vietnam. 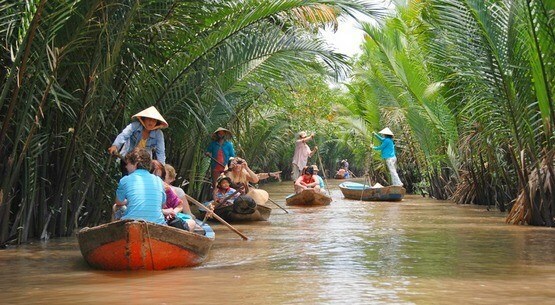 The mission of MTCO is to help GMS National Tourism Organisations develop and promote the Mekong as a single travel destination, offering a diverse range of good quality and high-yielding sub-regional products; adding to the tourism development efforts of each GMS destination; contributing to poverty reduction, gender equality and the empowerment of women; and minimising any adverse impacts of tourism through sustainable development activities./.